We are so grateful to our many supporters in the community who helped our families have a wonderful Christmas this year. A special thanks goes to the Redlands Church of Christ for their donations and support in making this a special holiday season. Our Women and Children's Houses were filled with smiles, laughter and love as they celebrated the day with presents and a delicious Christmas dinner. 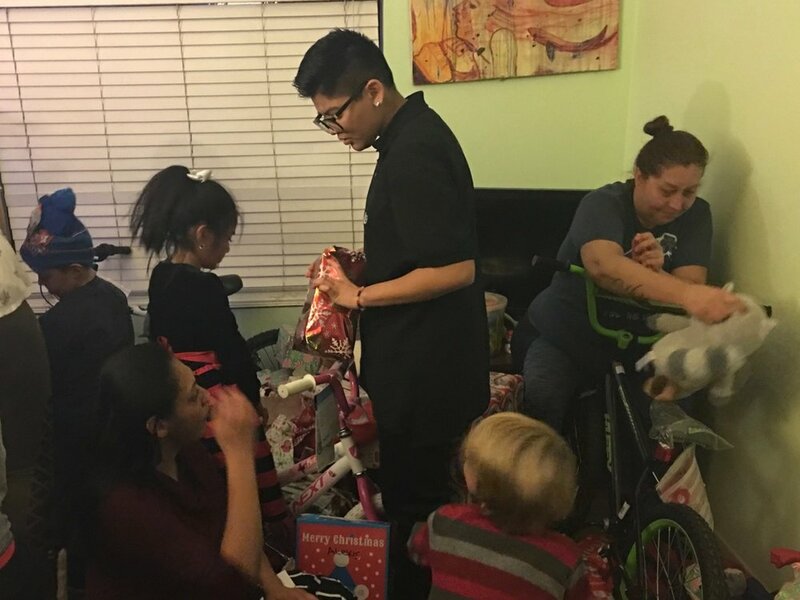 Our supporters showed the true meaning of Christmas by helping us make this day happen for our families. Our families gathered together to celebrate Christmas in the house. The children were very excited to begin opening their presents. This was a true family event as the moms and their children celebrated the morning together. The Women and Children's Houses were full of smiling children as they got hugs from their moms. Finally Cynthia and the women got to relax a bit after a delicious Christmas ham dinner.